The Nassau grouper (Epinephelus striatus) is now a critically-endangered species. That’s according to a new report from the International Union for Conservation of Nature, IUCN. 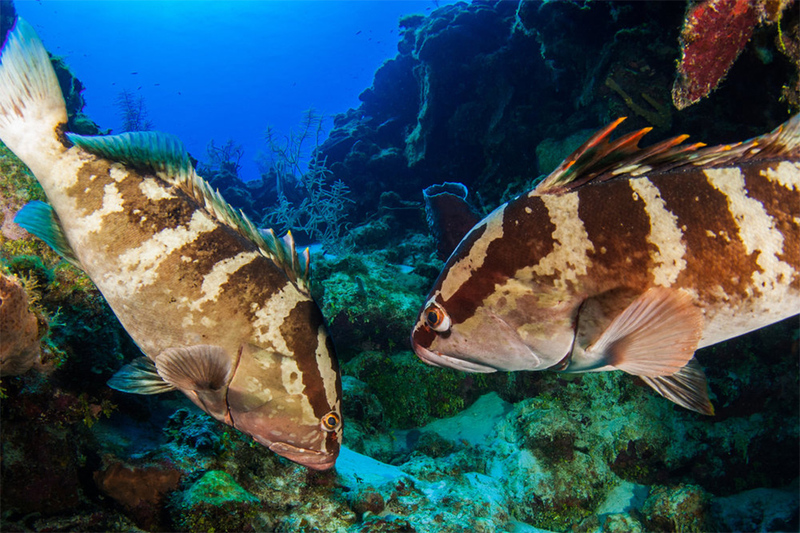 This means that populations, including spawning aggregations, have declined by more 80% over three generations (1980-2018), for Nassau grouper fish, which live approximately 16 years. 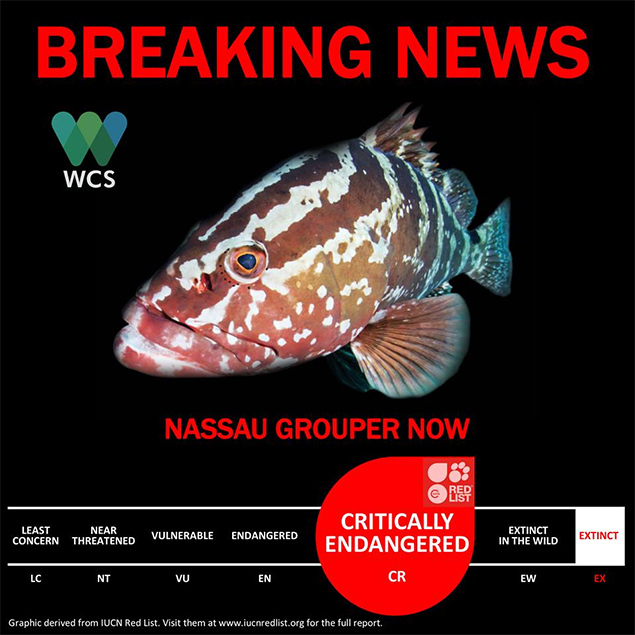 Nassau grouper now face an extremely high risk of extinction. The main threats, according to IUCN, are over-fishing due to heavy fishing on spawning aggregations; and loss of quality coral reef habitat. In Belize all these aggregation sites have undergone dramatic declines in fish abundance over the past two decades and despite some protective measures that have reduced fishing effort on these aggregations; recovery does not appear to be occurring. Click HERE to read WCS contribution to the IUCN assessment details.